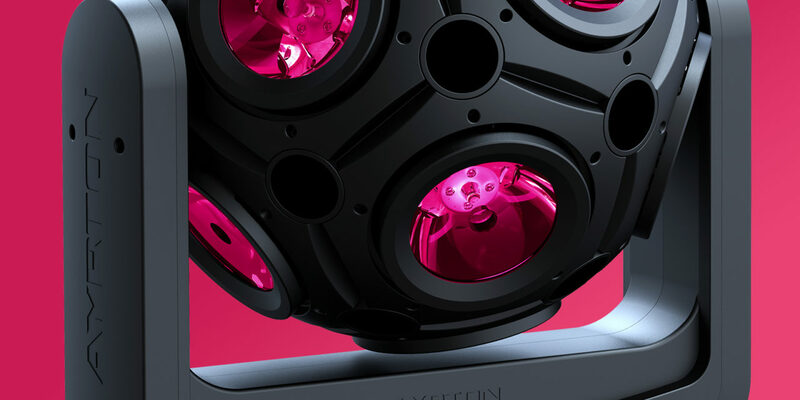 The COSMOPIX-R is a entirely new luminaire based on the concept of the famous double-rotation spheres with PAR36 lamps, dating back to the early ‘80s. 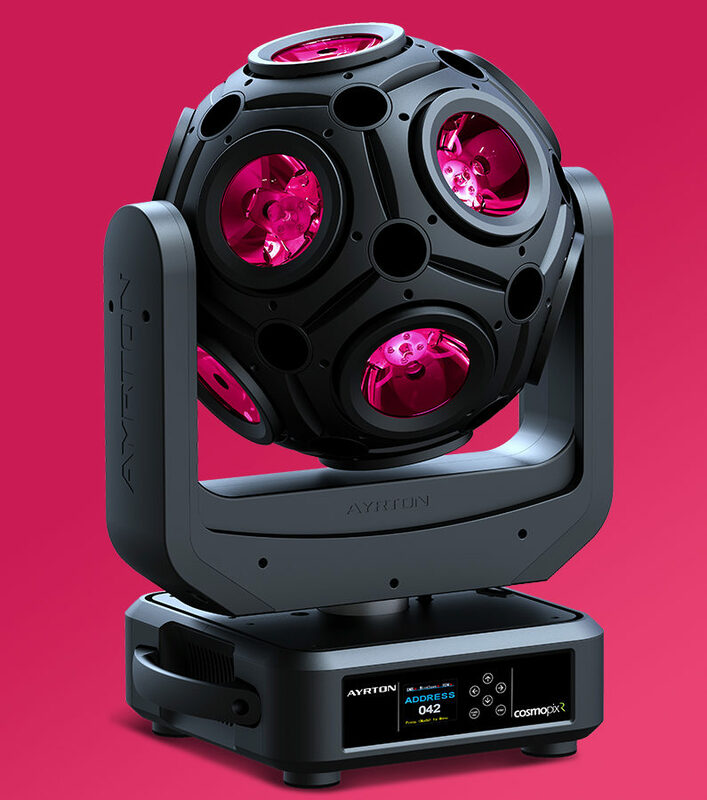 Using the latest technology and a variety of options for controlling the new multi-chip RGBW LED emitters, AYRTON has equipped this luminaire with new high-efficiency 94 mm optics and revamped this legendary product design, endowing it with a continuous combination of potential effects. 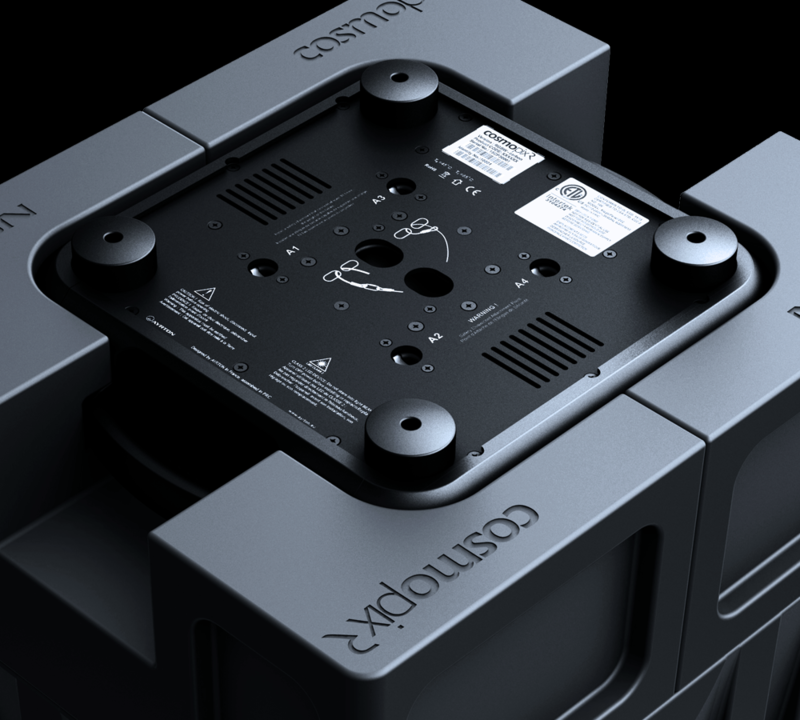 As with the entire RADICAL product line, the COSMOPIX-R has a powerful beam of under 5° with a centre-beam luminous intensity of over 100 candelas per lumen. 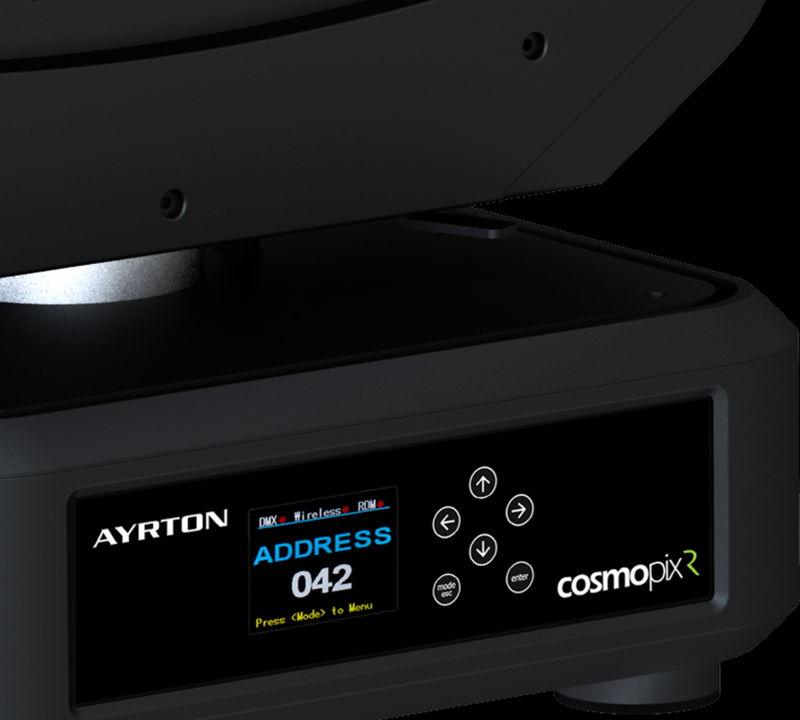 Fitted with 12 separately-controlled 60 W light emitters in a 12-face arrangement and continuous double rotation on the pan and tilt axes, the COSMOPIX-R will inspire lighting designers to create revolutionary new effects. required the development of a specific new cooling system for each of the emitters that evacuates the air at the edges of the optics while preventing dust contamination (patent pending). 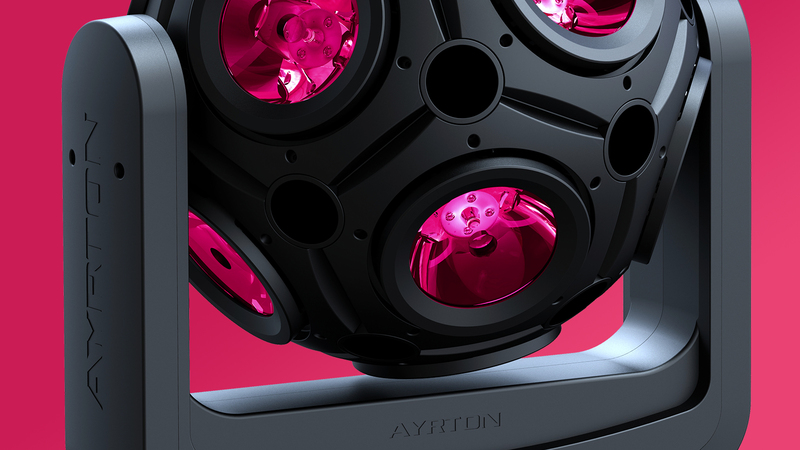 To make this complex luminaire easier and quicker to implement, AYRTON has provided internal macros to provide the user with a number of pre-programmed configurable effects. 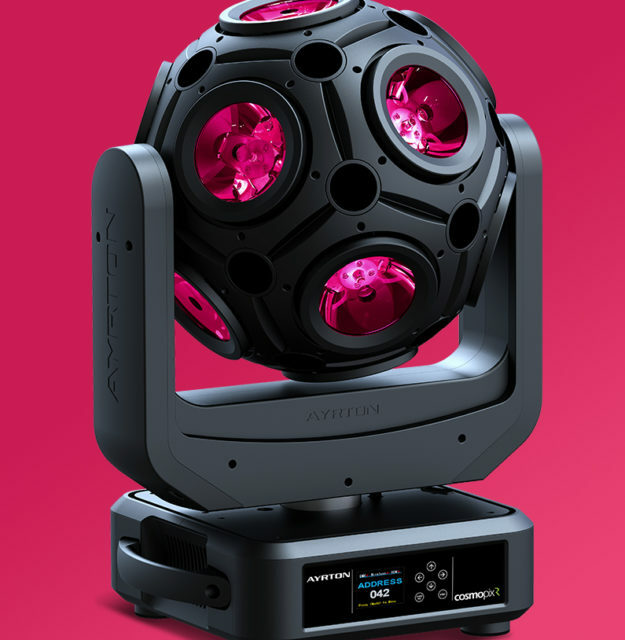 The COSMOPIX-R has extended series connectivity and can be managed by DMX-RDM, ArtNet or wireless DMX-RDM link via a new-generation TiMo™ module by LumenRadio™.